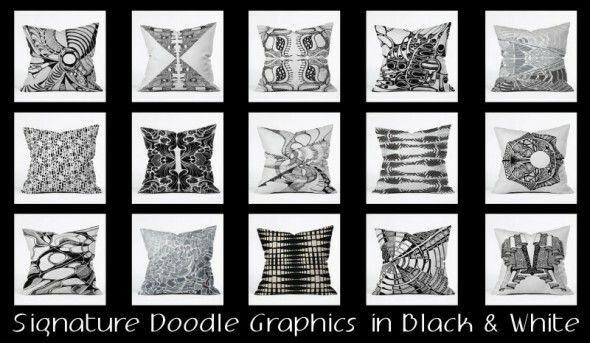 I am so thrilled about some of my design developments in 2012. One of the very best was being introduced to a group of wonderful, international surface designers via Facebook. We have shared and collaborated over the past several months and this week we will celebrate the new year, a new color and our collective futures with a BLOG HOP! The brain child of Rosie Martinez-Dekker of Believe Creative Studio in the Netherlands, each designer will be showcasing a mini-collection with the theme “flight”. Each collection will feature the Pantone color of the year for 2013 – Emerald. And the really cool part? 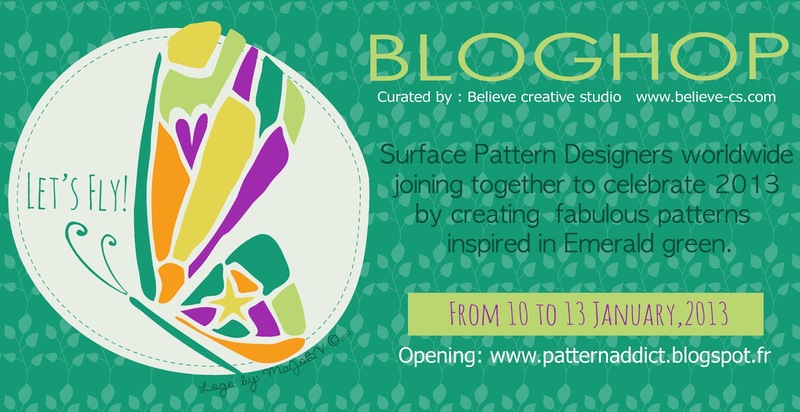 There are around 50 designers participating from all over the world including the US, the UK, The Netherlands, France, Italy, Spain, Brazil, Sweden, Ireland, Germany, the list goes on…. Tune in on January 10th at 14:00 GMT. The launch of the Blog Hop begins with an entry by Gill Eggleston of Pattern Addict who resides in Ile-de-France, France! Join us and plan to be WOWED!! -ize on design is pleased to announce our debut collection available for purchase! 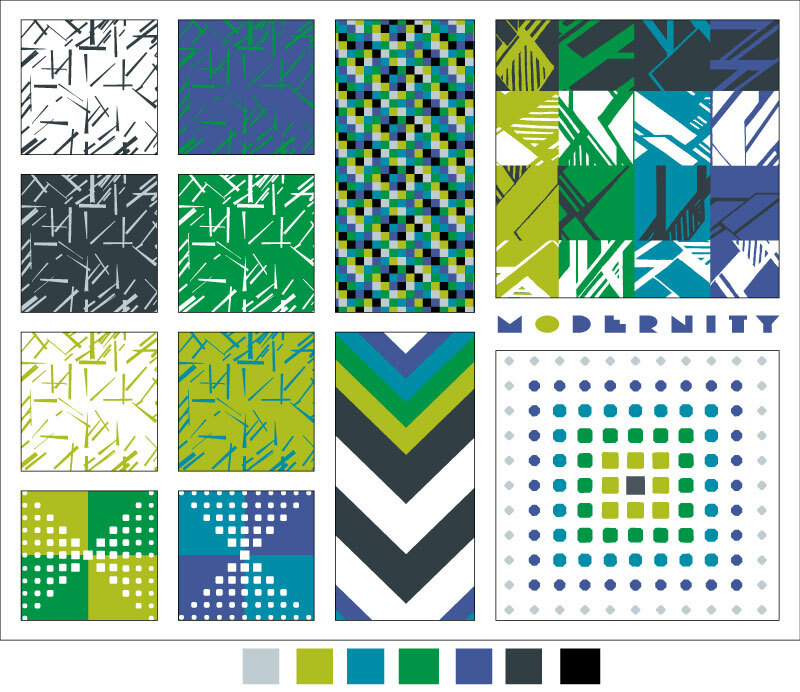 The MODERNITY Collection was conceived from a freehand architectural ink drawing. The style is reminiscent of the Art Deco and Bauhaus traditions in art, craft, design and architecture. 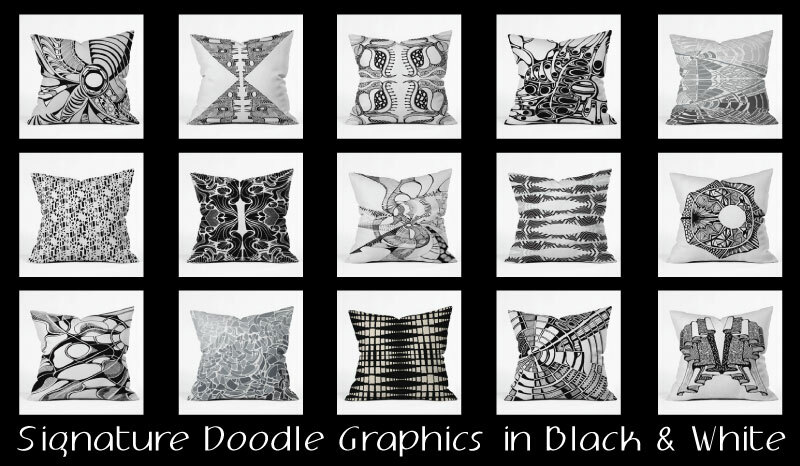 View details and purchasing options by visiting my Spoonflower store! A jolt of visual energy to start your day! Get that much needed boost before you hit the shower! 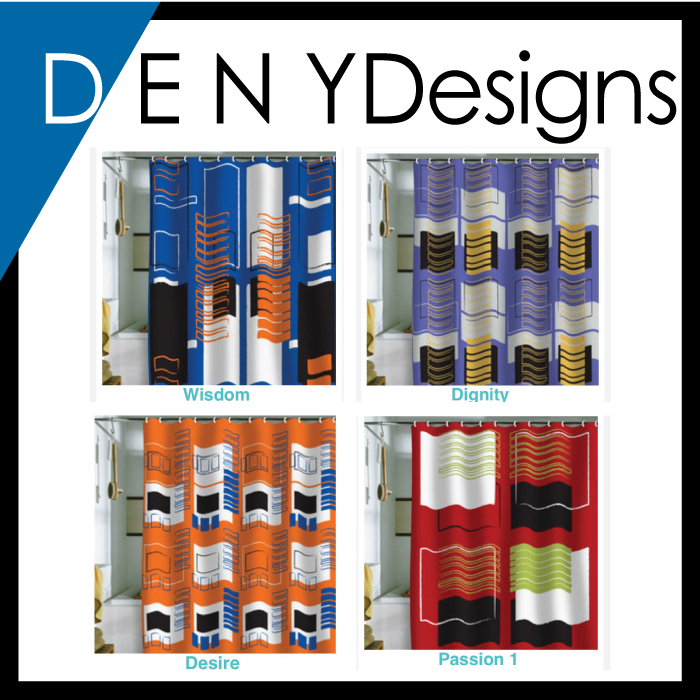 Pick up one of my latest shower curtain designs for DENYDesigns from my Symbiosis collection. 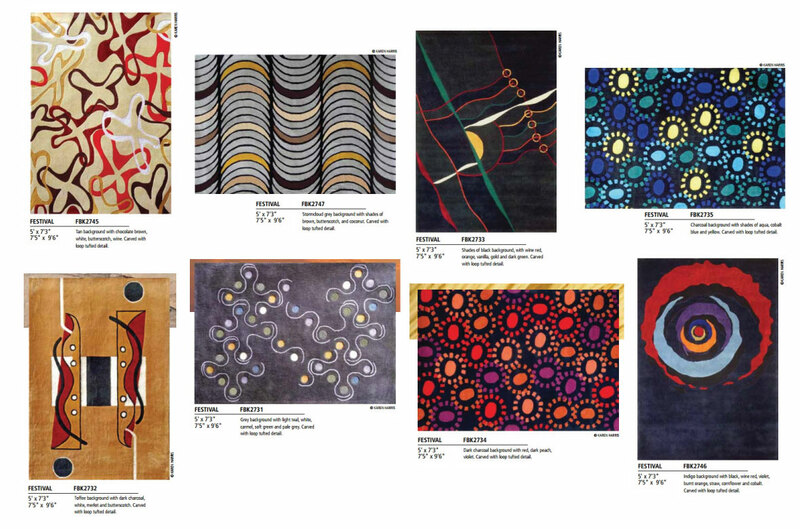 Symbiosis, is true modernist fashion and is characterized by a play on complementary colors. PASSION is tomato red with lime green accents; DIGNITY is purple with gold accents; WISDOM is blue with orange accents; and DESIRE is orange with blue accents. 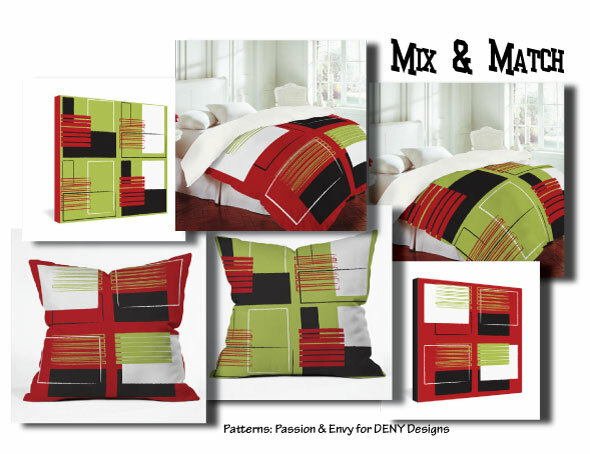 A great inspiration piece for a room makeover!